© Michael Nagle. All Rights Reserved. The origin of this image is unknown. 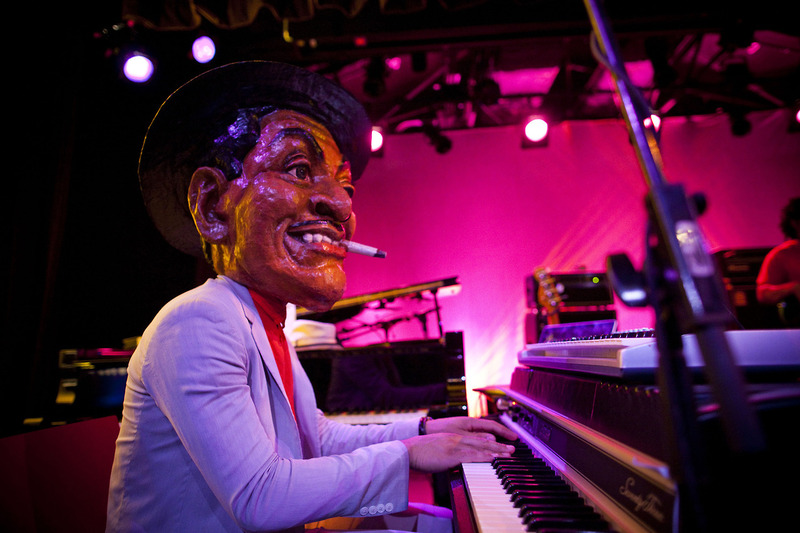 Jason Moran, wearing the Fats Waller mask, performs in “Fats Waller Dance Party” at the Harlem Gatehouse on May 13, 2011 in New York City.